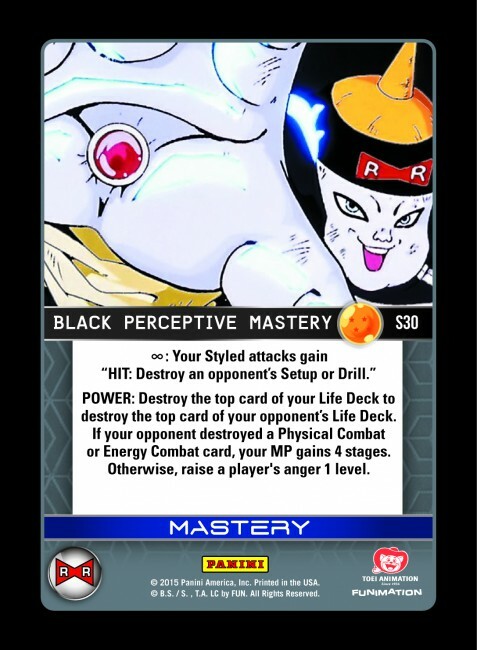 Android 18 & Black Perceptive Mastery: Unlimited Energy! 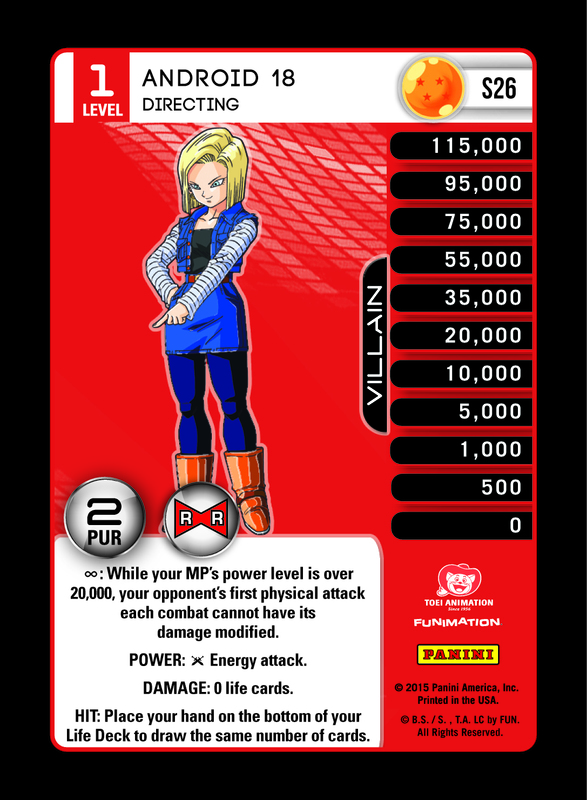 Android 18 is here at last, and her stylish abilities are sure to make a huge splash. 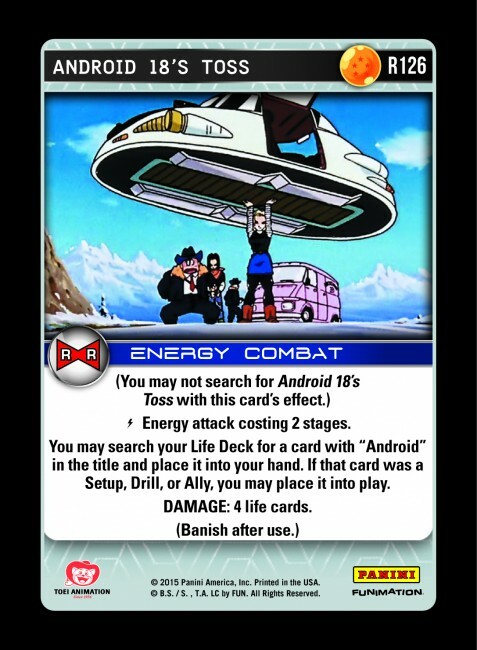 Android 18 – Directing starts off with a nice mix of offense, defense, and utility. Whenever you are more than 5 stages above zero, your opponent’s first physical attack will lose any “+” modifiers. While this can be played around, it is still useful simply for the fact that it disrupts your opponent’s sequencing. Her own attack does no damage, but it can soak up certain blocks or be modified to dish out a few Life Cards. Most of the time, it will go unblocked – allowing 18 to refill her hand with new options. When you reach Level 2, physical beatdown decks are placed in a difficult position. 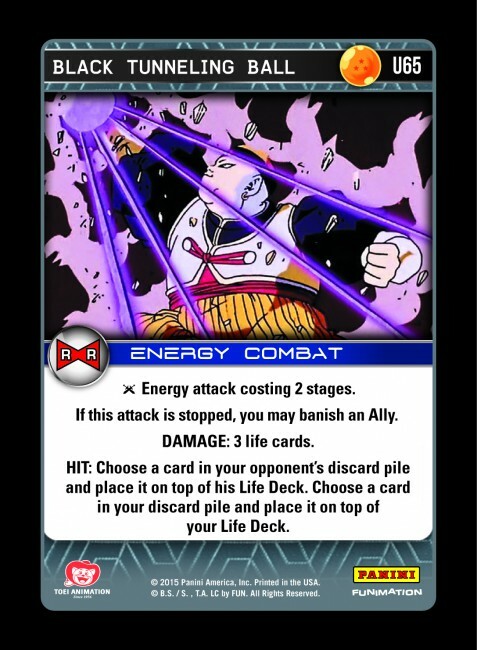 Direct stage damage, cards that level your opponent down, strong HIT effects, and energy attacks dealing stage damage are all useful tools against this Power. She also receives a +1 Life Card modifier to all attacks, making her even more efficient in combat. 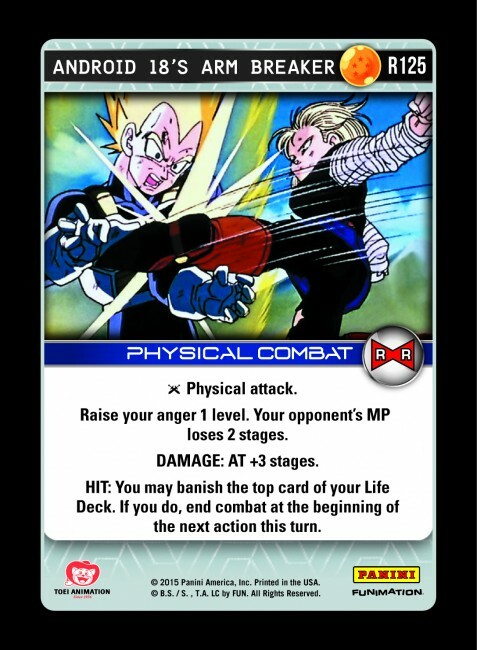 Android 18 – Effective can completely ignore any unprepared aggro decks. Your opponent will also have to make a crucial decision whenever you activate her attack. 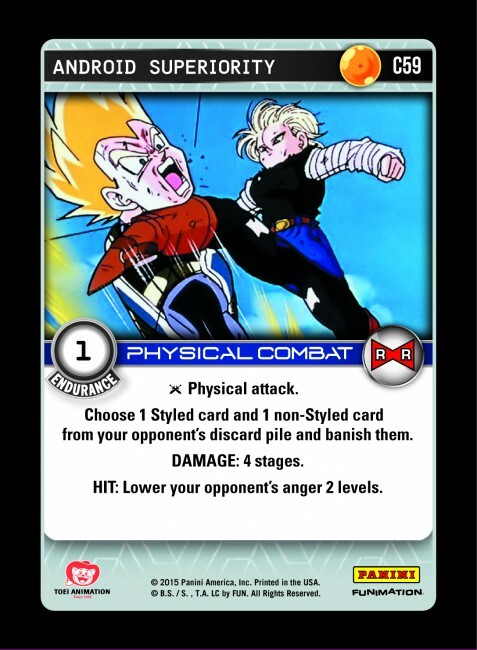 Aside from gaining a card, the HIT effect allows you to set up combos with draw effects – or even stack Endurance as a defensive tactic. 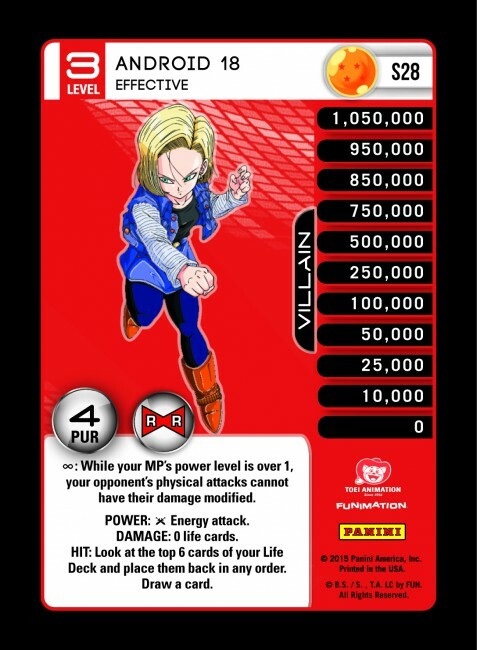 On Level 4, Android 18 goes from blocking damage to locking out physicals completely. Her 0 damage attack again puts your opponent in an agonizing position, and you can create a soft lock every time it hits. Android 18’s Arm Breaker does a little bit of everything. Stage control as an immediate effect, worthwhile damage, and even the ability to end combat. With 18’s persistent searching and filtering, you can often find just the right card for any given situation. Android Superiority joins Devastating Blow and Pulverize as another Freestyle discard removal option. 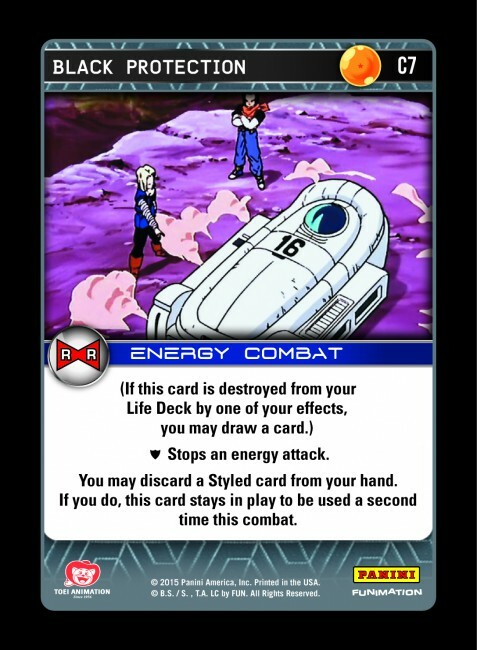 The direct stage damage can be more useful than AT + damage in certain matchups, and it fuels other cards that require Android in the title. 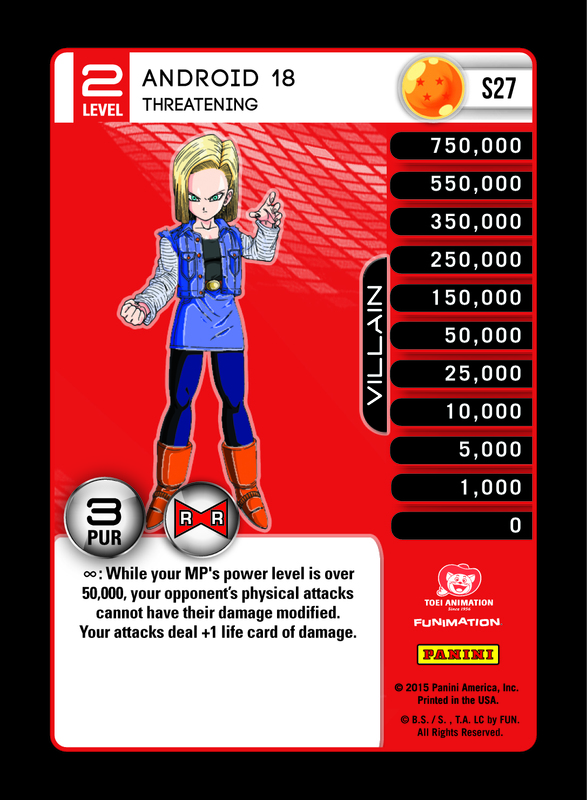 Android 18 loves gaining stages, and her Powers pair nicely with Black Perceptive Mastery. When comparing Perceptive to Black Devious Mastery, the Constant Power gives up some offensive oomph in exchange for more board control. Similarly, the discard Power of Devious lends itself to control decks, while Perceptive’s Power is more active. First, all of your unstopped Styled attacks will clear out a Setup or Drill. Black typically has a dearth of removal effects, so this Mastery unlocks an entirely new avenue. Furthermore, the Mastery’s built in deck destruction can fill several roles. You’ll see several cards that reward you when they are destroyed by your Mastery. Black also has a few attacks that deal more harm when blocked, making them more likely to hit and remove something in play. In control decks, you can take the theme even further and use effects that manipulate the top of your opponent’s Life Deck. Regardless of the path you take, the destroy effect should generally scale with any given matchup. Against aggro decks with lots of attacks, blind Mastery flips will be more likely to gain stages. Against control (where gaining stages isn’t as important), you’re more likely to get the anger. 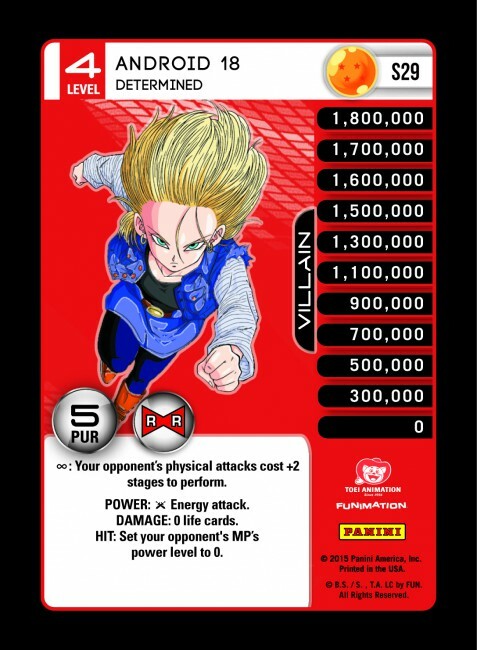 Chicago Recap, Launch Kit Update, and Android 20! Based solely on the previews it seems Blue and Black got a lot more love for some reason, Orange was upgraded at least. Saiyan is still meh, and in my opinion the old mastery may be better depending on what cards are in this set. I am worried about the new Black Mastery, this is only going to strengthen the dominance black currently has in the meta. The ease of which drills can be destroyed is troubling as black already has plenty of deck removal. Hopefully the rest of the revealed cards will alleviate some fears I and the community are having. Really the revealed black and blue stuff wouldn’t be bad if the rest of the revealed cards were as good. I want Saiyans to see more love as well as Orange and Red.